With just over a month left before Prince Harry and Meghan Markle's royal wedding, which is to be held on May 19 in St George's Chapel in Windsor Castle, rumors about the future bride's dress are everywhere. The latest rumours suggest fashion labels Erdem or Ralph & Russo may have been tasked to design and produce the gown, which will be the focus of much attention during the ceremony. Here's a look back at some of the most beautiful dresses at royal and princely weddings, including the those worn by Elizabeth II, Grace Kelly, Lady Diana, and more recently Kate Middleton. 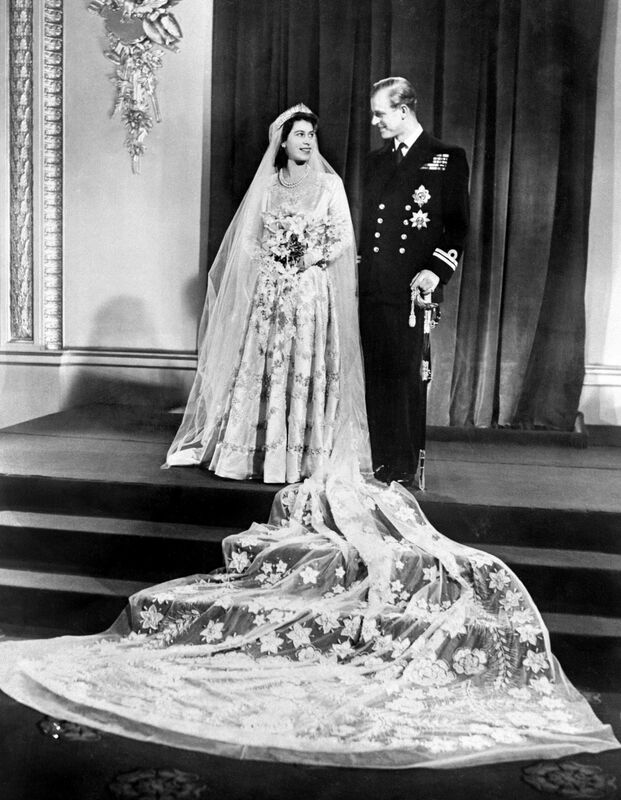 On November 20, 1947, Princess Elizabeth married Prince Philip, Duke of Edinburgh, in a dress designed by dressmaker Norman Hartnell. Embroidered with 10,000 pearls, it had a 4m long train with embroidery motifs of scattered flowers. The gown worn by Grace Kelly at her wedding to Prince Rainier III on April 19, 1956, was made by costume designer Helen Rose, and given as a gift by MGM Studios—a real Hollywood star's dress! Designer Jean Dessès was tasked to create this spectacular organza and silver lamé dress for Princess Sophia of Greece for her wedding to Prince Juan Carlos of Spain on May 14, 1962. For her wedding to Prince Charles on July 29, 1981, Lady Diana wore a spectacular dress, with large puffed sleeves, thousands of pearls and a train of more than 7m in length, designed by David and Elizabeth Emanuel. Rania al-Yassin, today Queen of Jordan, wore a dress by British designer Bruce Oldfield at her wedding to Prince Abdullah on June 10, 1993. Watched by the entire world, on April 29, 2011, Kate Middleton married Prince William in an Alexander McQueen dress, created by Sarah Burton. The lace and satin gown was unanimously praised for its design which combined tradition and modernity. Princess Charlene of Monaco called on Italian designer Giorgio Armani to create the dress for her wedding to Prince Albert II of Monaco on July 2, 2011. The dress combined an understated overall design with thousands of gems and crystals.